The YouTube subpocalypse is for real and my YouTube channel could use your support. I need 1,000 subscribers to survive and it's at 735 subscribers right now, an increase from when the bad news broke, but I still need 265 more. While the revenue generated is small compared to a Game Grumps or a NoDQ it's still very much necessary to keep our operation running. Please subscribe to Mistah MegaManFan and help me out! 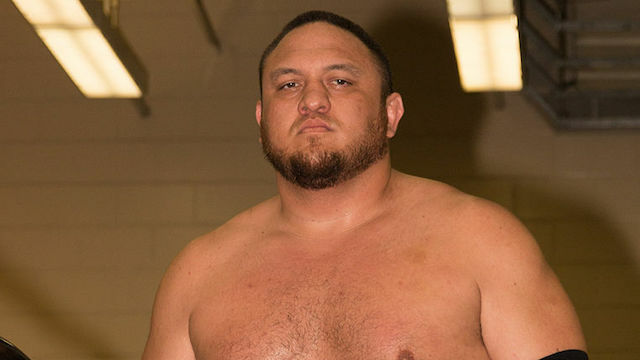 In this interview Samoa Joe has high hopes for today's indie wrestling scene: "I hope it's a sustained strength. I've thought of the independents as a stable industry for a little over two decades, and that's because I stably worked in it, so I've understood it that way. I'm hoping that these companies are looking towards the future and also including their talent in their future plans. You know, understanding the value of them and taking care of them accordingly. I get people all the time that say, 'Ah well, they're an independent, they can't afford to take care of the guys at this time.' But at the same time, you should still be making your best effort, because it's those gentlemen that step through those ropes every night who created this industry with their efforts and their abilities. They're the reason why you see this big flourishing, thriving independent scene. Around the world, in the UK, United States, Canada, Mexico... it's a great thing to see, and I just hope that they manage this wave accordingly and they get something that's lasting." In this interview for Newsweek, Roman Reigns praises Brock Lesnar: "He doesn't get credit. He did years ago; but for his age, to be in the back of his athletic career it's very impressive to see the shape he maintains, the explosive power that he holds. That takes a lot. You see guys like Cena posting workout videos all the time and that's what you have to do to stay at that elite level. And Brock still has that. He's a smart businessman in what he does and he's turned 'Brock Lesnar' into a complete character now in the past month or so. It's pretty neat to see how he can pinball between UFC and WWE and still have that power. It's insane." Here's an update from New Japan reharding the old school Bullet Club interfering in matches: "Regarding BULLET CLUB OG match intervention BULLET CLUB OG; Tama Tonga, Tonga Loa, Bad Luck Fale have made the unfortunate decision to intervene in matches which have resulted in multiple disqualifications in this G1 CLIMAX 28. New Japan Pro-Wrestling has made a decision to impose a three-month suspension and a fine to each member(s) of BULLET CLUB OG if they intervene in any G1 CLIMAX 28 tournament B-block match tomorrow. Sincerely, New Japan Pro-Wrestling." Believe it or not tickets are on sale for a Walk With Elias concert over SummerSlam weekend. In this interview with TMZ, Mick Foley says Cris Cyborg would make a great WWE superstar: "I had a meeting with Mr. McMahon and I specifically told him keep your eyes on this Cyborg vs. Nunes fight. She's gonna be larger than life and would make a great WWE superstar down the line." A new Ring of Honor video is below. Here Jim Ross talks about Impact crashing and burning in the ratings: "Just when you thought that Impact Wrestling was building some momentum - and I think they still are, their television ratings have recently gone off the hook in a bad way. They had their lowest rating of 2018 for their weekly episodic television. There's an old saying my granny told me one time about her mercantile, her store, that you can't sell goods out of an empty wagon. I don't think the Pop TV wagon is very loaded. If you're like me I can ask this question to anybody and I'd like to get the answer. Are there other programs that you watch on Pop TV in addition to Impact Wrestling? Didn't think so. They got to build their company around talent and television. Their talent side seems to be coming together: their nucleus. They gotta have a nucleus and somebody's gotta get hot. It's that simple. They've gotta get on a vehicle at some point in time that's gonna give them a chance to survive and become very profitable."